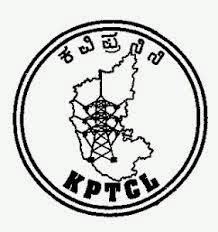 KPTCL Recruitment 2015: The Karnataka Power Transmission Corporation Ltd (KPTCL) has announced the employment notification for the 912 Assistant Engineer (Elec. ), Assistant Engineer (Civil), Assistant Officer and Junior Engineer (Elec.) vacancies. Now eligible candidates apply through the online official website kptcl.com. The online application starts from 25-04-2015. The applications are invited through online mode from the qualified and eligible candidate for the recruitment. If you want to know the more details given here. Name of Post: Assistant Engineer (Civil & Elec. ), Assistant Officer, Junior Engineer (Elec.). Eligible candidates apply through the online official site at kptcl.com from the date of 25/04/2015. Find the online application link and enter the details like as the name, age, gender, qualification etc. Click the submit to apply to these recruitment.